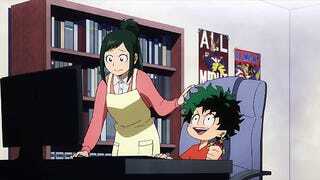 Question of the Weeb: What Would Be Your Quirk/Power? Ah a Question that has launched a thousand Buzzfeed Click Bait quizzes, a classic really. This one is simple enough If you have a Super Power/Quirk/Magic/Mutation/whatever what would it be and why? Nothing too profound he a nice an simple power fantasy Question of the Weeb today. For myself it would totally be teleportation, even with limits that are already imposed in other mediums teleportation is clearly one of the best powers. From a battle standpoint it would be a tricky power, however from a living stand point it would be awesome. Transportation costs like time, effort, and money gone. You want to have a vacation in France? Well you don’t really need to worry about that plane. Running late? HA! You never run late. Teleportation is clearly one of the best powers out there.